How can I fix a Raspberry Pi with Rainbow screen on boot up? I have good voltage coming in and I believe I've formatted and setup the SD card properly. I have two of these boards that do the same thing; I bought them months ago but I am only getting to them now. I bought them off of Amazon and It's way to late to return or exchange them I've been told. 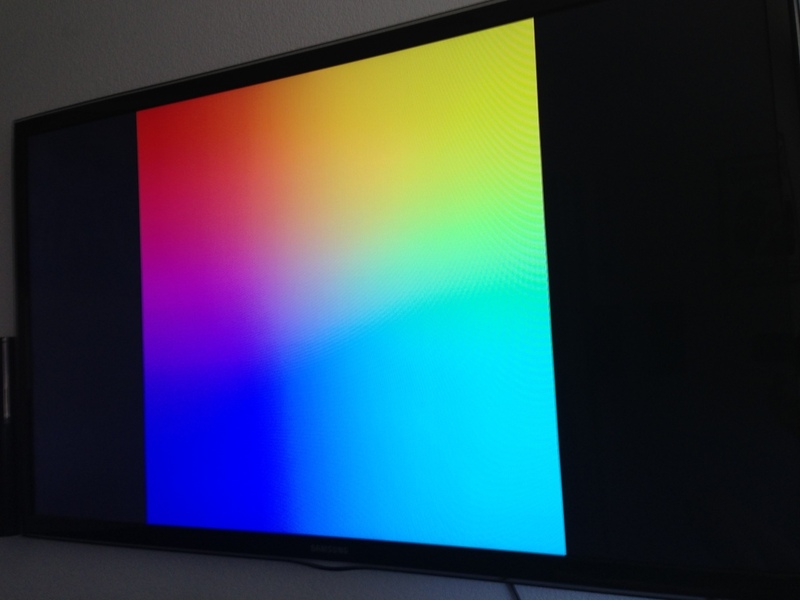 With current firmware, a coloured splash screen (actually its just four pixels "blown up" by the GPU to full screen) is displayed after GPU firmware (start.elf) is loaded. This should be replaced by linux console a second later. However if the coloured screen remains, it suggests the kernel.img file is failing to boot. Try replacing it with a known good one. Immediately after displaying the splash screen, the PI starts consuming a little more current. If the PI resets at that moment, it is an indication that the power supply isn't able to deliver the full current your PI requires, but dips its output voltage below a minimum when loaded with the full current the PI needs. With a known good power supply and known good SD card, the R-Pi boots occasionally, but other times shows only a tiny green flicker from the "OK" LED and it fails to start, even with no USB devices and no Ethernet. This has been reported several times   and remains an open issue. Low voltage or an improper SD card can cause it. Some SD cards will work until they warm up slightly, and then fail. When exposed to 21 C room temperature the warmest part of an uncased working R-Pi should be 41 C. The wiki has a list of working SD cards. Buy from a reliable vendor as it has been claimed that 1/3 of all "Sandisk" labelled memory cards are counterfeit. I would try other SD cards and power supplies, and check the Pi for defects, as well as different raspberry pi image. You may also want to try a different SD card reader, as some may format the card unreliably. I was able to solve this problem by getting a better power supply. I then took out the microsd card as it booted into recovery mode. I put it back in and was able to install noobs. I have experinced this on a Model B. I tried various SD cards, but all had the same issue. I then plugged my Samsung Galaxy charger into the Pi, which outputs slightly higher voltage, and it fixed it. Apparently the power supply, supplied with the Pi isnt man enough to do the job it was supposed to do! Try changing the power supply, before you go too deep into other paths. Not the answer you're looking for? Browse other questions tagged boot-issues or ask your own question.